So, what’s the big deal with l-glutamine supplementation? A little 101 on the benefits to encourage you to take it, especially for anyone who is training regularly or at higher intensities. 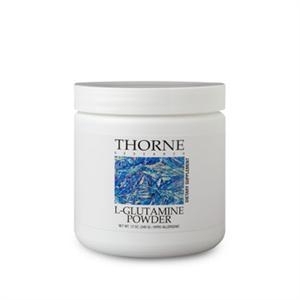 Besides being an essential recovery aid, L-glutamine benefits the immune system by supporting the health of the intestines. Glutamine is an essential amino acid, one of the building blocks of protein. Although the body can synthesize glutamine under “normal” conditions, it cannot meet the requirements under higher stress such as intense training, infection or other higher physical demands. Maintains immune system health by preserving integrity in the intestinal walls, your major first line of defense against bacteria, viruses. People who have any gastrointestinal problems, are training hard, suffering any muscle wasting, are experiencing poor recovery from workouts, are getting lots of flus, colds and other infections may be lacking adequate glutamine. Depending on your body size and training levels, supplementing between 3-10g of L-glutamine daily to prevent muscle breakdown and ensure sufficient level for muscle building, is a general dosage. And, to help your body produce its own glutamine beside the supplement, take vitamins B3 and B6 as these are required for the synthesis. This entry was posted in News, Sports Nutrition. Bookmark the permalink.